We write on behalf of the Middle East Studies Association (MESA) of North America and its Committee on Academic Freedom to express our increasing concern and dismay over the alarming impact of the emergency decrees on Turkey’s institutions of higher education. One of the most recent of the emergency decrees, issued on 22 November 2016 [Kanun Hükmünde Kararname (KHK) 677] has had a devastating impact on higher education in Turkey: first, another two hundred forty-two (242) academic personnel have been dismissed from their positions at twenty-one (21) universities across Turkey. Second, the emergency decree eliminated the right to education for incarcerated students. As with the earlier decrees issued on 1 September and 29 October, we understand that this most recent decree was issued under the authority provided by the state of emergency declared by President Recep Tayyip Erdoğan in the wake of the attempted coup of 15 July 2016. While we recognize that the attempted coup represented a threat to Turkish national security, and that the government must take legitimate precautions in the aftermath of that violence, mass firings of university faculty and staff and violations of the right to education for incarcerated students do not constitute legitimate measures. Instead, these actions suggest the continuation of a government campaign of intimidation, threats and attacks on all aspects of academic freedom and the right to education that began well before the attempted coup. The KHK 677 of 22 November 2016 decreed the permanent removal of over 15,000 civil servants from their positions, including over 1100 members of the Higher Education Council (Yükseköğretim Kurulu, YÖK), 119 members of the Ministry of Education, 752 members of the Ministry of Health and 242 university academic personnel. The affected academic personnel from all ranks: from full professors to associate professors, assistant professors, lecturers and other academic staff in research and teaching positions. As with the earlier decrees, these actions also canceled the passports of the fired personnel. All of those affected by the decree were dismissed on allegations of being members of a terrorist organization or undermining the national security of the state. None were afforded any procedural rights or confronted with any evidence to justify such allegations and dismissals, and no official charges have been brought. Prior to the decree of 22 November, an astonishing array of emergency measures had already targeted higher education in the country. Seventeen private universities were closed, their assets seized, and all of their academic personnel lost their positions. The YÖK announced suspensions and investigations against over 10,000 academic faculty and staff across the country. All 1576 deans from every university in Turkey were forced to resign, and a travel ban was imposed on all academics, which has only been partially modified to give rectors control over travel authorizations for faculty. On 1 September, an earlier decree removed 2346 academics from their positions at public universities in Turkey without evidence of wrongdoing or procedural protections to contest the dismissals. Similarly, a decree on 29 October terminated the positions of another 1267 academics without evidence or process. 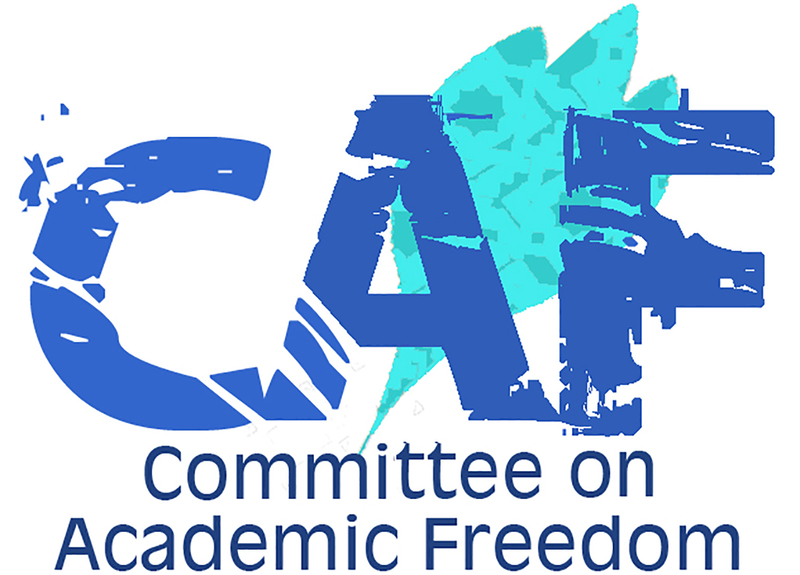 MESA’s Board of Directors issued a statement and a letter expressing our concern about these and other developments that have detrimentally impacted Turkish academia on 21 July 2016 and again on 19 August 2016, and the Committee on Academic Freedom has previously written letters on 6 September 2016, 10 October 2016, 7 November 2016, 14 December 2016 and 21 December 2016 in response to the impact of these emergency decrees and other measures taken targeting academics and suppressing academic freedom. The breadth of the firings that have resulted from the 22 November decree—like the 1 September and 29 October decrees that preceded it in dismissing 3613 academic personnel on similar grounds—indicates that the measures are not limited to such guilt-by-association, but also target academics deemed critical of the government and who are not alleged to have ties to the Gülen movement. In earlier letters this year, dated 14 January 2016, 22 February 2016, and 17 March 2016, we wrote about the broad pattern of persecution of academics by the Turkish government in the wake of the publication of a petition for peace in the Kurdish regions of the country (“Peace Petition”). The attacks against petition signatories encompassed suspensions and terminations of academics from positions at universities, detention and interrogation of faculty members by over-zealous prosecutors, and a spate of threats and attacks against academic signatories by vigilante actors. In March, President Erdoğan proposed amending Turkish anti-terrorism laws to include the activities of academics, journalists and NGO advocates, a move that threatened to permanently criminalize freedom of expression, freedom of association and academic freedom for anyone working on Kurdish issues or indeed anyone critical of the government. In the aftermath of the attempted coup, the clampdown on academics and universities has been further expanded, and the State of Emergency now provides cover for the far-reaching measures that had been threatened earlier in the year. The firings of 22 November occurred without due process of law and represent the removal en masse of academics without any evidence of a connection to the attempted coup. Indeed, 15 of those dismissed by decree (KHK) 677 were signatories of the Peace Petition. With this emergency decree, it appears that your government has targeted those Peace Petition signatories who are medical doctors, psychologists, philosophers, food experts, and economists, and who investigated social, economic, food and health policies in their work. The fields of expertise of these academics largely overlap with those of the associations closed with the decree 677—that is, social work and services, poverty, income inequality, and food policies. By way of example, the dismissal of Professor Bülent Şık, an expert on food and public health, from his academic position at Akdeniz University makes it appear that your government is targeting those who raise critical voices on various issues, including public health. We have noted a pattern of persecution of academics whose research raised questions about your government’s policies as early as 12 December 2012, when we wrote concerning the case of Professor Onur Hamzaoğlu who was later fired from his position by the 1 September decree. Similarly, the decree of 22 November has resulted in the firing of academics whose research on public health matters has been deemed critical by officials of your party, the AKP. In addition to being a signatory of the Peace Petition, Professor Bülent Şık (like Professor Hamzaoğlu) previously participated in a research project conducted by the Ministry of Health on the carcinogenic impact of chemicals used in agriculture and caused by industrial waste. Reportedly, the Ministry of Health was accorded sole authority to make public the results of this study conducted in Ergene and Dilovasi. Professor Hamzaoğlu was involved in the study at Dilovasi (in addition to his other research of the site) and shared his own findings, which established the presence of heavy metals in infant feces and breastmilk, with the public, resulting in the termination of his position at Kocaeli (see our letter dated 6 September 2016). Professor Şık corroborated the troubling results of the study and has now been terminated from his university position by the emergency decree of 22 November. While your government has been expeditious in removing academics from their positions apparently based on their public health findings, the Ministry of Health under your government has elected to keep the troubling results of the study it commissioned from the public. In addition to targeting those doing critical work on public health issues, KHK 677 also targeted academics providing expertise on social and economic policies. Moreover, eight of the dismissed academics were members of the leftist educational union, Eğitim ve Bilim Emekçileri Sendikası (known by the shorthand, Eğitim Sen). The dismissal of numerous leftist, pro-Kurdish and otherwise critical academics through the 1 September, 29 October and 22 November decrees suggests that the scope of these actions was in no way tailored to target individuals suspected of being tied in some way to the coup attempt. Even before the emergency decree, incarcerated students faced many difficulties in exercising their right to education. Detained students were allowed to take their exams provided that the senate of their university gave them permission to do so. Yet credible reports suggest that, even when university senates allow detained students to take their exams, the prison administration often makes it impossible for the students to do so—effectively undermining their right to education. Students seeking to take their exams have been transferred in handcuffs to their educational institutions, which were sometimes located more than a thousand miles away from their detention facilities, and they had to pay transfer costs and proctors’ compensation out of pocket. More recently, the situation has reportedly been reversed, with prison administrators prepared to facilitate the students’ taking exams, but university administrations obstructing the process. University administrations, under pressure from the government, have also reportedly been expelling detained students before their sentences are finalized. The new dynamic being reported on campuses with new administrators suggests that government-appointed administrators have not only been instrumental in destroying the autonomy of university governance but now also actively work to undermine students’ right to assembly, expression, and education (on government intervention against the semi-autonomy of academic institutions, see our letters dated 7 January 2016 and 7 November 2016). As a member state of the Council of Europe and a signatory of the European Convention for the Protection of Human Rights and Fundamental Freedoms, Turkey is required to protect freedom of thought, expression and assembly. Turkey is also a signatory to the Universal Declaration of Human Rights, the International Covenant on Civil and Political Rights, and the Final Act of the Conference on Security and Cooperation in Europe (OSCE), all of which protect the rights to freedom of expression and association, which are at the heart of academic freedom. Derogation from human rights instruments under the state of emergency must be narrowly tailored to the exigency at hand and cannot arbitrarily restrict academic freedom or justify the massive and arbitrary dismissal of thousands of academics across the country. Moreover, the rights being trampled in these actions are also enshrined in articles 25-27 of the Turkish Constitution as well as article 42, which protects the right to education. We urge your government to take all necessary steps to abandon the course currently being pursued and to protect academic freedom and the right to education. We respectfully ask that your government take immediate steps to reverse the dismissals announced in the 22 November, 29 October and 1 September decrees and ensure that all of the investigations—disciplinary and criminal—that we enumerated in our previous letters and Board statements be terminated or reversed. We also ask that your government desist from broadening the definition of terrorism to encompass the lawful and protected activities of academics, journalists, NGO advocates, and students. In the aftermath of the failed coup attempt, your government has an opportunity to restore confidence in its commitment to democratic rights and freedoms by taking steps to protect academic freedom, right to education, freedom of expression and freedom of association.